Corn or Maize is one of the most important cereals in the world, along with wheat and rice. It is native to Central America. The ancient Mayan and Aztec civilizations believed that man was created from corn. 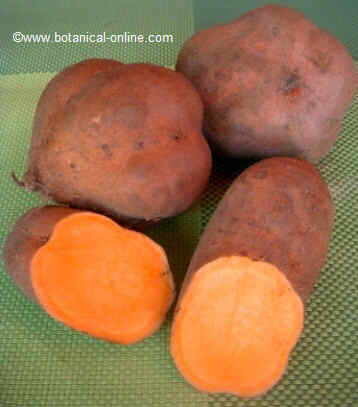 Today it is still a very important food for many populations. 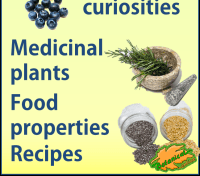 It is also used as fodder and as raw material for industry. Maize (Zea mays) is a cereal from the family of grasses (Poaceae). Annual plant with tall stems (up to 3 m.) Cane-shaped, solid inside (unlike the other members of his family, which are hollow). Female inflorescence, called cob, where the seeds or grains (corn kernels) are clustered along an axis. In a cob there are between 12 and 16 rows, where the grains are arranged. Corn cobs are covered by bracts, with a green and papery texture, ending in a kind of dark yellow plume formed by the styles. Corn plant is monoecious, that is to say, in the same plant there are two types of flowers: male and female. They are pollinated by the wind. As explained below, corn bloom is one of the most critical stage in corn growing, because this crop production depends on how cobs develop. It is important for this plant to have enough water 20 days before flowering and 20 days after it. Corn is grown for its edible seeds in tropical and temperate zones of the planet. It needs a lot of sunlight, it can not grow in the shade. Corn resists drought, but it does not tolerate frost. There are different varieties with different degrees of resistance to drought. Soil required for corn can be sandy or loamy, but it needs to be well-drained and moist. It requires an acid soil with a pH range 5.5 to 6.8. It must be fertile, rich in organic matter (for cash crops it is required a study plan for fertilization). Ploughing the soil: It has to be done six weeks before planting in order to loose the soil. This task will facilitate the rooting of the plant and will improve the water retention capacity. Ridging: It consists on providing soil to the lower part of the plant in order to hold the roots and the whole plant. It is done in late winter (midDecember). 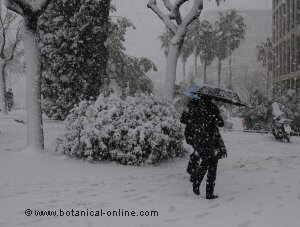 Sowing in cold weather limits the risk of diseases and pests. Get the seeds in specialized shops. Seed disinfection: Treat the seeds with products that protect them from predators such as earthworms attack. 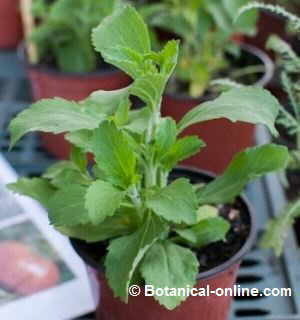 The treated seeds must be used exclusively for planting. Once treated, they can not be consumed ! 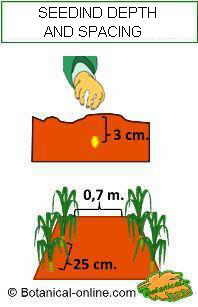 Spacing 0.7 to 1 m.
Spacing between plants: 25 cm. 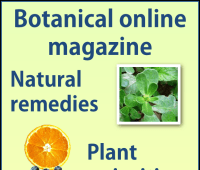 On large crops, triazines treatment is usually applied to prevent diseases and pests. Corn germination usually occurs in the second week after seeding. Soil compaction, the ground particle size, the weather conditions, the temperature and humidity influence this process. The lack of phosphorus in the soil can delay germination. 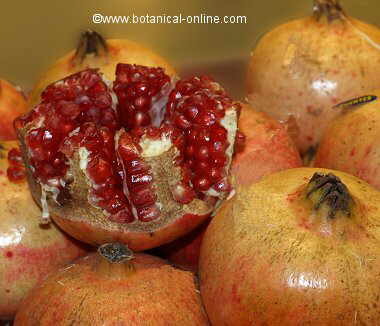 The plant develops stem, leaves and, finally, the reproductive organs that allow fruiting . This is the stage when the plant needs more precise irrigation, which also needs phosphorus to grow. Three weeks before flowering it is very important to water thoroughly. Flowering is one of the most critical moments of cultivation: The production and ripening of this phase depends on the female spikes which are fertilized by pollination. We should maintain soil moisture at this stage to increase the weight of the leaves and for the plant to begin to grow grains. Whereas in the previous phase, the main necessary nutrient was phosphorus, during flowering and fruiting it is most important to add nitrogen. For grains to be able to fill, one should decrease the amount of irrigation to reach the stage of maturation and drying of the cob. When cobs are dried, no irrigation should be applied because the plant has achieve its physiological maturity. Physiological maturity refers to the maximum growth stage of ripening and, in this case the corn kernels. If not harvested at this point, kernels aging will appear. During the first weeks of development water needs are low, since the plant has not yet developed its stems and leaves, but it must have sufficient moisture and water. We must increase the amount of watering as the plant grows in size, developing new leaves and nodes and elongating the cane. The plant must not have deficit irrigation for at least 15-20 days before and after flowering. Flowering is one of the most critical moments and the precise stage when corn needs more water. The water requirements progressively decline during grain filling. At the end of plant growth, grain starts to dry, non requiring irrigation (it has attained its physiological maturity). 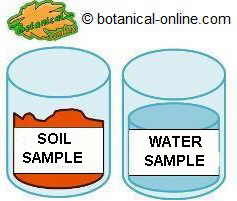 To perform a fertilization, a sample of soil and irrigation water is required. For crops for commercial production of maize, a study should be made of soil and irrigation water to determine what nutrients you may need for a good cultivation. 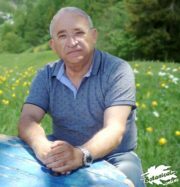 The same laboratories performing these analyzes often have technical advice on crop management and provide fertilization plans. Fertilizers should be purchased after the study and depending on it. Do not apply fresh manure in the crop. Nitrogen deficiency is one of the most often affects corn plants. 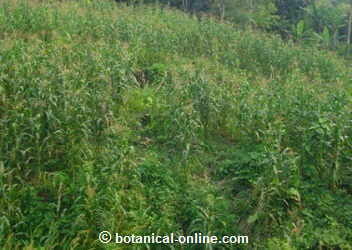 It is characterized by yellow leaves and lack of grain at the end of the cobs. 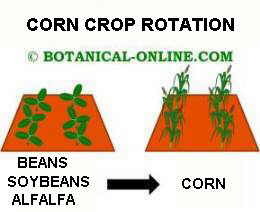 Crop rotation improves the soil and prevents diseases of the plant. We recommend using the technique of crop rotation to increase productivity and prevent diseases. This practice also manages to preserve the fertile ground for many more years. 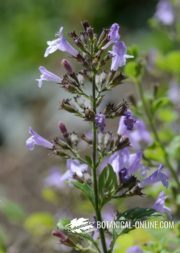 It is essential the advice of a specialist to determine which plants are best suited for a chosen place. Nitrogen deficiency most frequently limits the growth and yield of corn. Most soils do not have enough nitrogen, so they should be corrected with chemical fertilizer, which also carries an economic cost. Crop rotation with legumes is very interesting to correct the deficit of soil nitrogen and obtain a greater performance from the corn field. Legumes, such as soybeans, peanuts, beans, peas or alfalfa are able to increase the amount of nitrogen in the soil, due to the activity of some bacteria in their roots. It has also been tested with cucurbits (pumpkins, zucchini) and sunflowers. 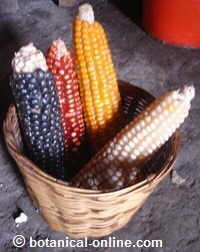 It is very common to treat maize with triazines. It is a herbicide that is applied before planting or a few weeks later to prevent corn diseases. Armyworms (Spodoptera frugiperda): One of the most important pests affecting maize crops, primarily in Mexico and tropical zones. This is a larva of a moth that causes damage in corn plants and reduces corn production. In the worst cases, when it affects seedlings, it can mean losing an entire crop. Beetles (Phyllophaga spp, spp Cyclocephala Anomala spp…): They feed on plant roots, slowing plant growth and, in the worst cases, killing the entire plant. Symptoms appear on wilted and yellowing leaves. Stem borers (Diatraea spp. ): Leading to corn canes breaking. Before applying pesticides, you should quantify the degree of infestation of the crop. Not all pesticides are suitable for crops intended for human consumption.